Happy Halloween from Peterson Racing! Summer went by quickly for our team! Some of us rode in circles really fast at the Marymoor velodrome. Lindsay Felker represented Peterson Racing at track nationals. Our triathletes completed some big races on tough courses. 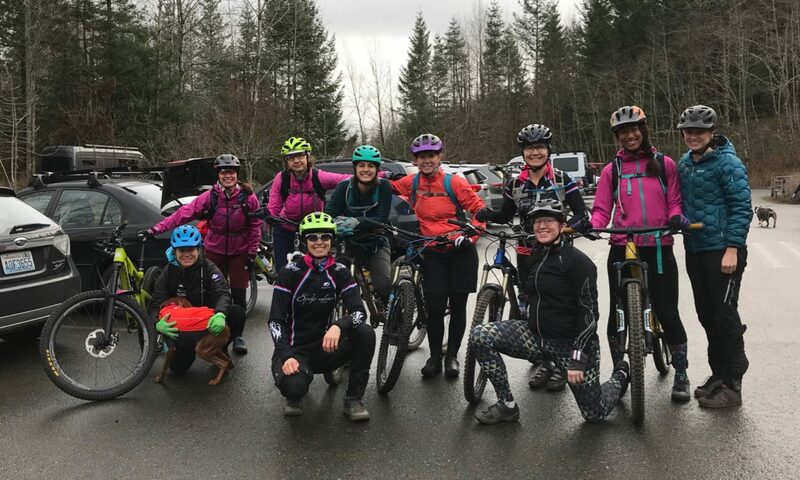 Lots of us had fun on the mountain bike. Life also happened for our team: four teammates got married, we had some injuries, and several teammates moved out of the state (we miss you!). 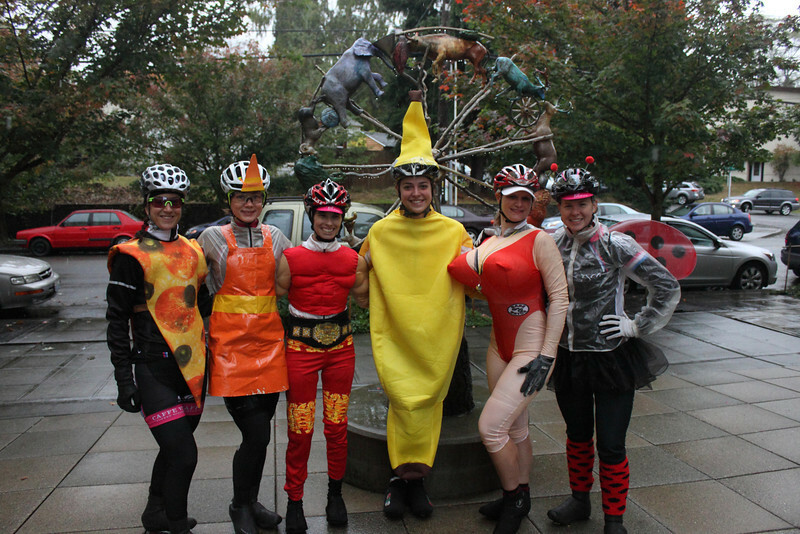 As the leaves turn and the rain falls, we’ve been reconnecting through meetings, parties, ‘cross racing…and with scary costumes. Alicia organized our second annual Halloween Costume Ride last Saturday. Good times were had by all despite the rain! Things got a little scarier the next day at the Seattle Cyclocross race #4, held at Sprinker Recreation Center…. Have a safe and happy Halloween. See you out at the cross races! Look for more updates on our summers and the fun we’ve been having racing cross bikes in the mud.